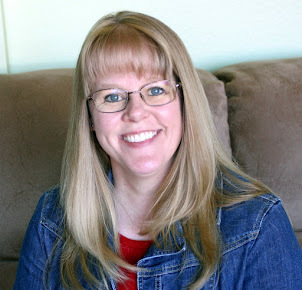 My original plan was to take an Alaskan cruise; however, as I began to research traveling to Alaska to check off item #18 on my 50 Things To Do Before I'm 50 list, I realized that we could see a lot more of Alaska by planning our own trip. 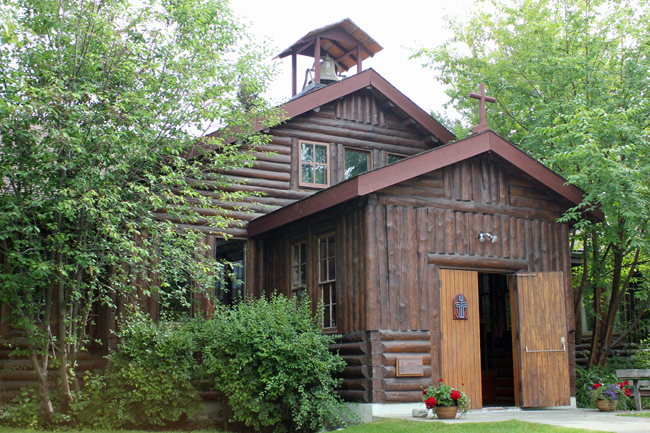 We headed out on July 21 for a 16-day trip that included a couple of travel days, a couple of days in Seattle, Washington, and 12 days in Alaska. We traveled by plane, by train, by boat, by rental car, and by bus. It was an amazing trip! Along with the beautiful scenery (mountains, tundra, spruce forests, glaciers, creeks, rivers, lakes, etc), we spotted bald eagles, moose, mountain goats, horned puffins, caribou, sea otters, humpback whales, Dall porpoises, sea lions, trumpeter swans, dolphins, Dall sheep, wolves, and a grizzly bear. I'll be sharing lots of photos and stories in the coming weeks, but here are a few highlights! 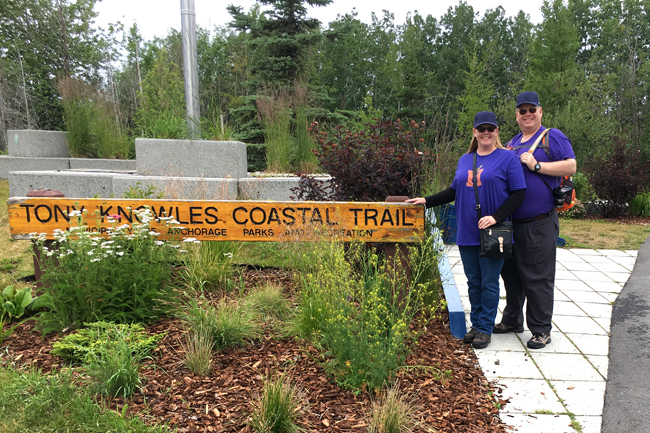 Walking part of the Tony Knowles Coastal Trail in Anchorage. 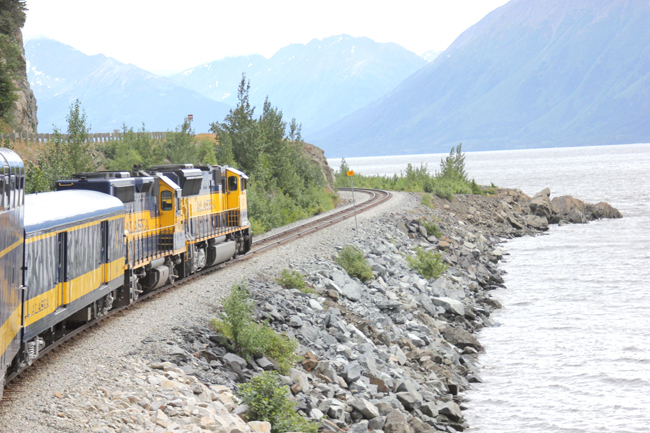 Riding the Alaska Railroad between Anchorage and Seward. 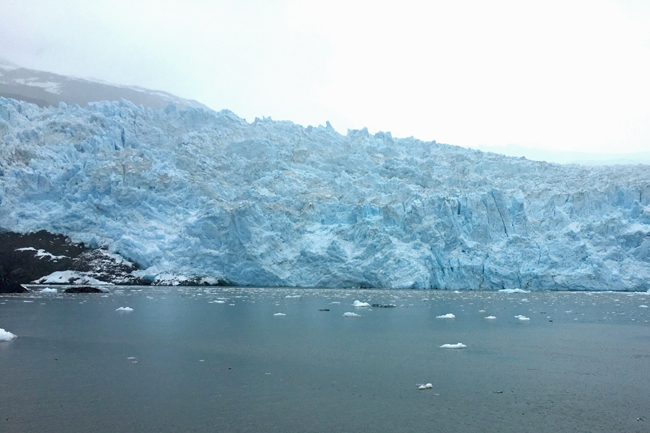 Touring the Kenai Fjords with an up-close look at the Holgate Glacier. Visiting the Church of 1000 Trees in Palmer. 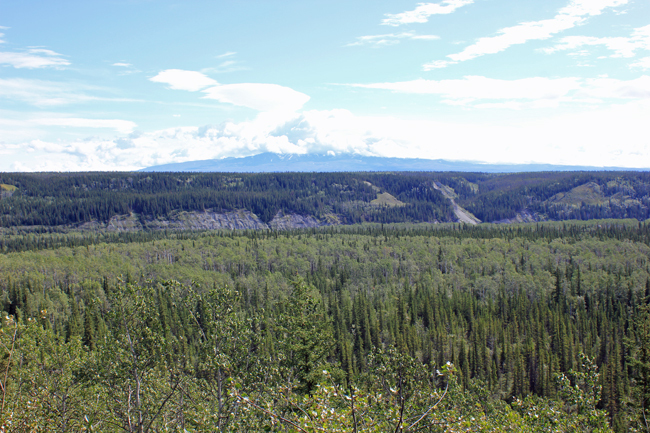 Hiking the Boreal Forest Trail (and a short piece of the historic Valdez Trail) in Wrangell-St. Elias National Park. 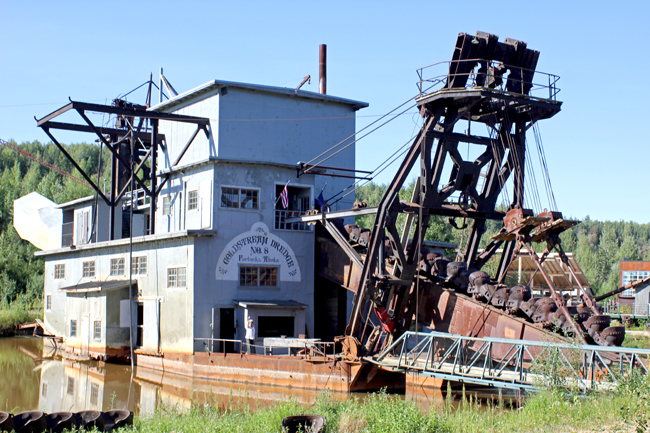 Exploring Gold Dredge 8 and panning for gold outside Fairbanks. 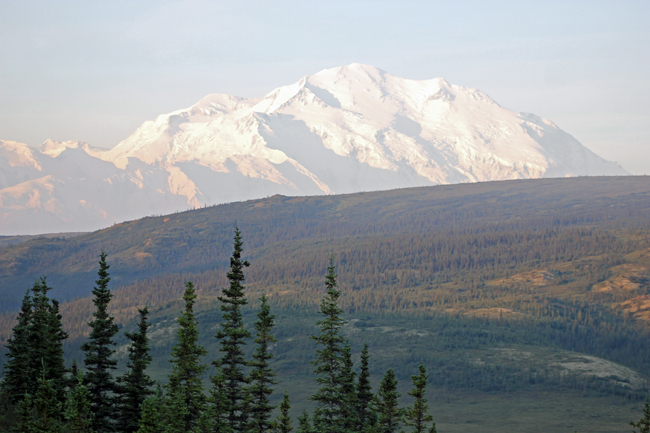 Camping inside Denali National Park with this beautiful view of Mount Denali. 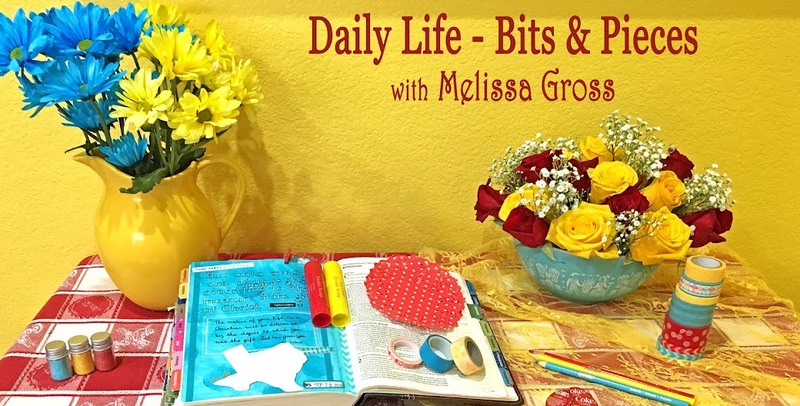 So excited to check another item off my 50 Things To Do Before I'm 50 list! Eighteen down, thirty-two to go … and not much time left! Gorgeous photos! And you were so lucky to see all of Denali. We were there for three days and there was always cloud cover on the top. WOW what a trip. Your last photo in particular, shows off the majestic beauty of Alaska. That looks fabulous! I love the rail track running so close to the water. And am looking forward to more about this amazing trip. Wow, what an amazing adventure you've had! And all those animals that I can only read about! Looking forward to hearing more about your trip.